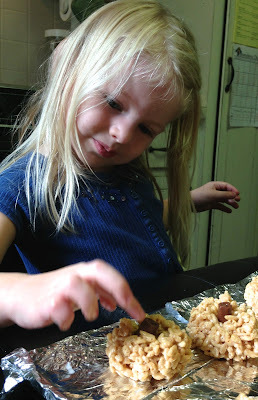 A blog with fun crafts and healthy cooking ideas to inspire parents and caregivers! Right about this time, I start to think about EVERYTHING Pumpkin! 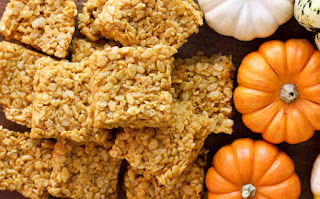 I saw this GREAT idea on Pinterest for Pumpkin Spice Rice Krispy Treats! 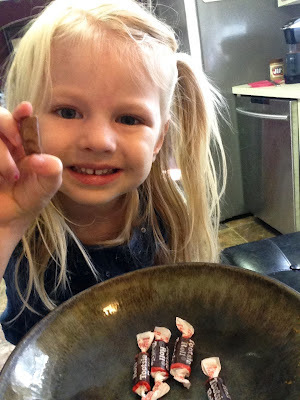 You can click on the picture below to see her original recipe! I read the comments and a lot of people were having problems with the moisture that the added pumpkin gives to the treats. It was making them soggy! 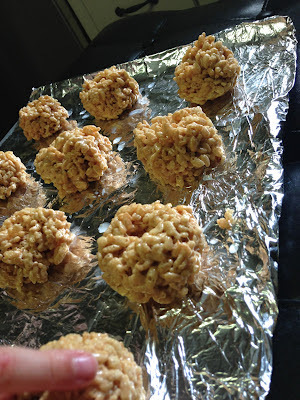 So, I changed the recipe up a bit and made the BEST Rice Krispy Treats EVER because they have PUMPKIN in them!!! I also made them to look like pumpkins and added my kids favorite candy, Tootsie Rolls, to the center to make a stem! 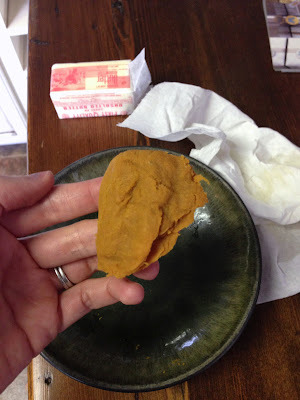 The first thing you will do is take most of the moisture out of your pumpkin puree. Just put it on a paper towel and squeeze it out! I did this three times, until I could actually pick up the pumpkin! 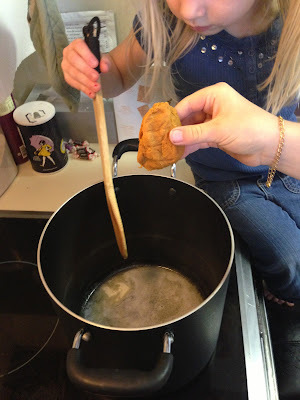 Melt your butter on the stove and then add your pumpkin. 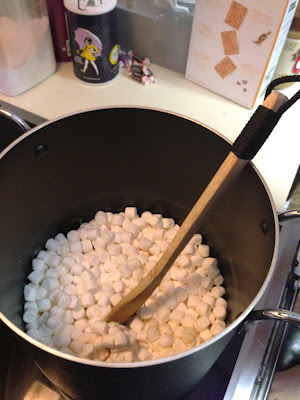 Stir till heated through and then add your marshmallows! 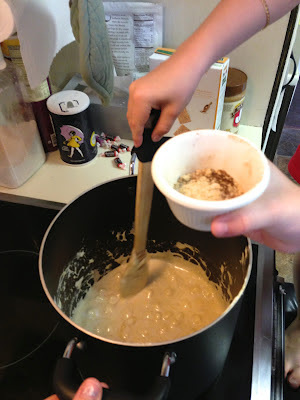 Stir constantly till almost fully melted! 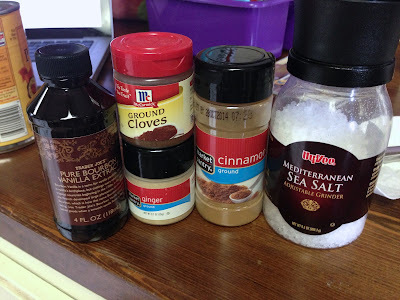 When almost melted add your spices, salt, and vanilla! 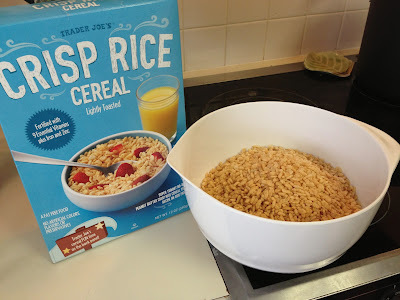 This is what it will look like when ready to add you cereal! Take pot away from heat and let cool for a couple minutes. 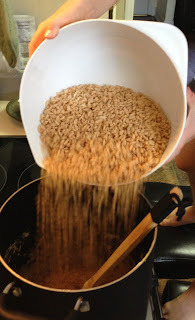 Then add your cereal and stir till all mixed together! 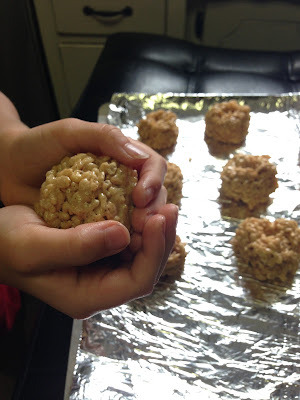 Get your hands wet with cold water and then form your mixture into balls. You can make the balls any size you want! Then with your finger press a hole in the top center. Take the wrappers off your Tootsie Rolls and then push them into the center and let them stick up a bit to make the Pumpkin stem! For a fun look, I added a piece of fresh Basil! I think it makes them look cute! For your kids, leave off the Basil and ENJOY!!! These two kids are PRETTY EXCITED!!!! The next day my son had one for his treat in his lunch at school and he said everyone was asking him about it! This is also a great idea for Halloween school parties! Great idea! I think Miles and I will have to try these. I'm trying these this weekend! Hi! I made these and they turned out pretty good! They were a little soggy, so I probably didn't squeeze out enough of the moisture from the pumpkin. But I'm wondering if you measured the pumpkin before you squeezed out the moisture or after. I measured after, so maybe I had too much of it in there? 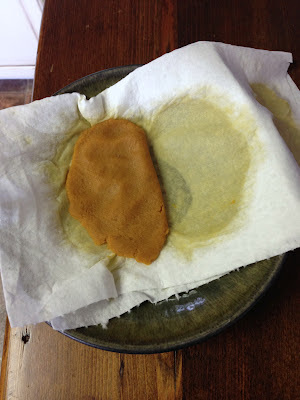 Anyway, they still tasted great, and refrigerating them helps keep them crispier. Thanks for sharing! You're a genius! Your trick with the pumpkin worked perfectly. A friend asked me to make this for her birthday and your recipe saved the day and made it turn out to be a great gift. (I blogged it here: http://mybakingadventure.tumblr.com/post/33895341595/pumpkin-spice-rice-krispie-treats-for-janas) The texture is perfect, it held together beautifully and tastes great. Loved the photos too, they were very helpful. 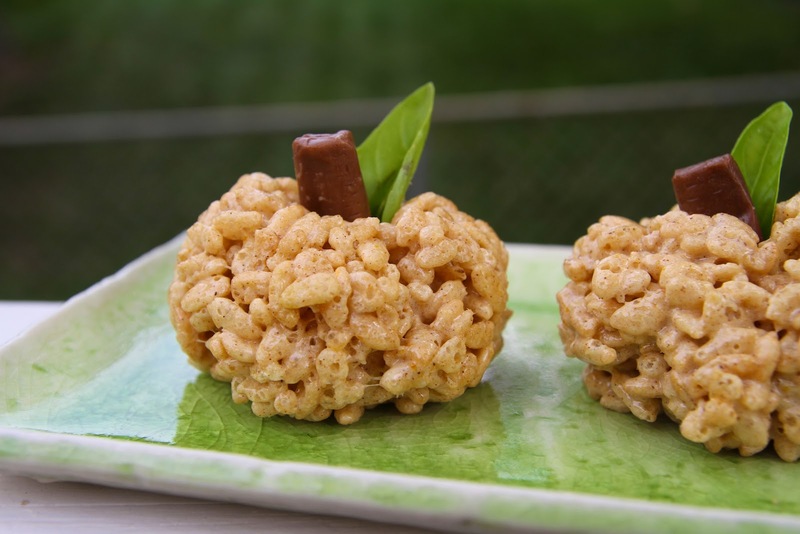 Great recipe and I might use it to send treats to the kids' classes for Halloween. Thank you!!! These look GREAT and I really want to try this recipe BUT....where do you find Pumpkin Puree? Is it just canned pumpkin (not the pie filling obviously)? Thanks for all your work. hope this helps and you can make these! This is amazing! Thanks so much for putting this recipe together. 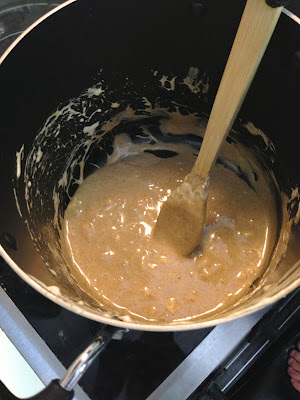 I made the original pumpkin spice recipe that you reference and I was so heart broken when they came out mushy!! I should've looked at the comments first! Why Sprinkle Life with Glitter? We need little fun times mixed into the day to day! 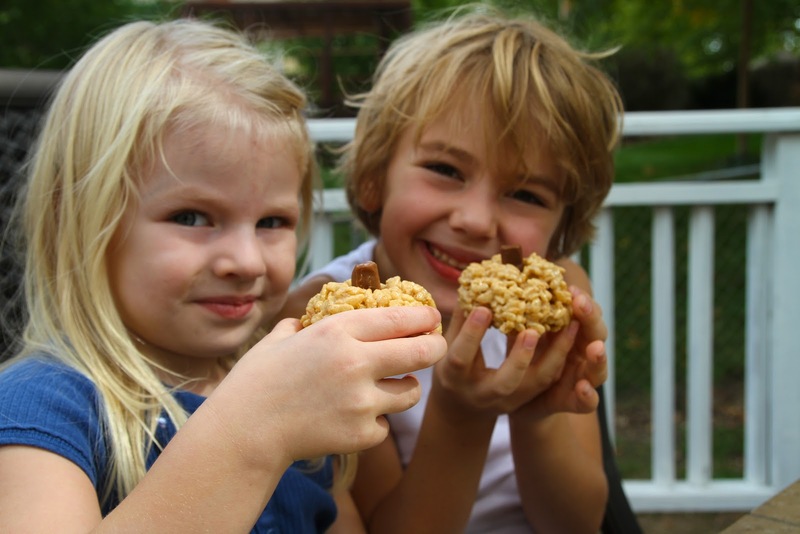 Simple, cost effective, or healthy creations that make life exciting! I hope I can be a light to all of you and in some way inspire you to create with the people around you! *Let me add I'M NOT A WRITER! So PLEASE excuse any grammar/spelling mistakes! Trick or Treat Sack AND Keepsake! Coin Chart: Behavioral & Financial plan for your 2-6 year old THIS REALLY WORKS!